W-AIR is a turnkey cordless DECT solution. Wildix offers a multicell DECT W-AIR Base solution that supports up to 1000 cordless VoIP handsets / headsets and a single cell W-AIR Small Business Solution. 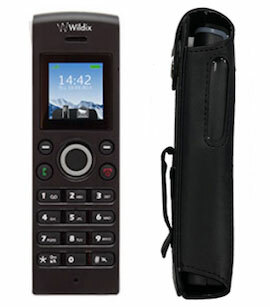 W-AIR 150, W-AIR 100 and W-AIR 70 are cordless VoIP phones fully integrated into the Wildix system and easy to install. The signal coverage is very extensive, thanks to the base-repeater system. W-AIR Med has an antibacterial coating and is specifically designed to be used in hospitals, nursing homes and medical facilities. W-AIR system is developed on the CAT-iq protocol that allows data and voice transfer on the radio channel and offers advanced features, such as access to the shared phonebooks and presence status monitoring. The Wireless headset with the largest wireless roaming range in the world. 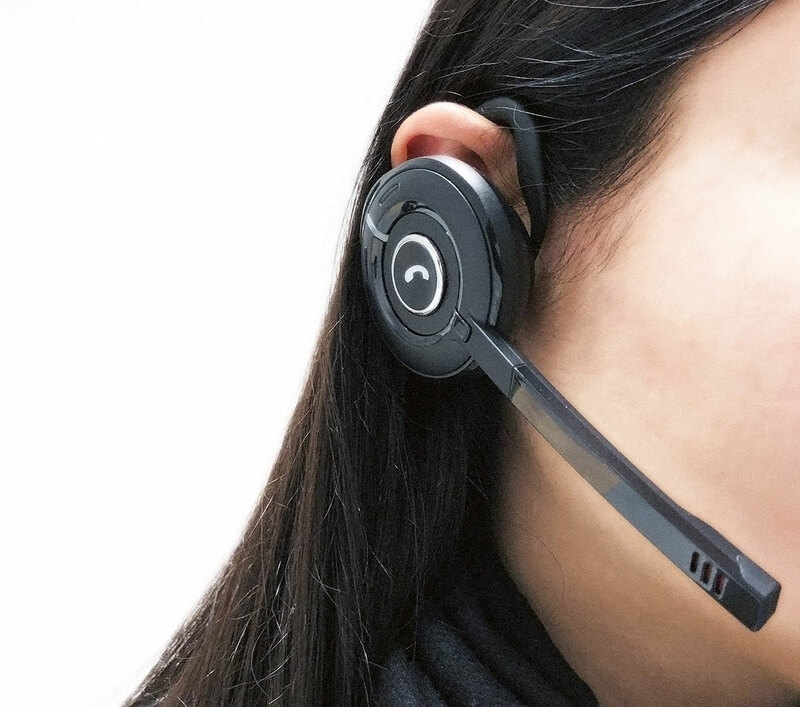 W-AIR Headset is perfect for situations where mobility and continuity of communication are essential － airports, shopping malls, warehouses and offices located on multiple levels and floors. The signal coverage of the Wildix W-AIR headset is guaranteed by the W-AIR DECT system. This means that you can freely move throughout the whole coverage area, without worrying about call interruptions or sound quality. Wildix offers two types of base stations for multicell installations: W-AIR Base and W-AIR Base Outdoor. Both base stations support PoE 802.3af. W-AIR Multicell DECT system supports up to 250 W-AIR bases or W-AIR Outdoor bases + Repeaters. You can expand the system at any moment and connect up to 1000 cordless VoIP handsets by adding more base stations and repeaters which expand the base station’s signal coverage. Especially designed for outdoor and cold environments. To create a Wildix Small Business system it’s enough to install one Small Business Base Station to which you can connect up to 3 repeaters. Each system supports up to 8 cordless handsets. W-AIR Small Business Base supports PoE 802.3af thanks to PoE Splitter.